When we think about sending fresh flowers, we often associate them with happy occasions like birthdays and anniversaries. 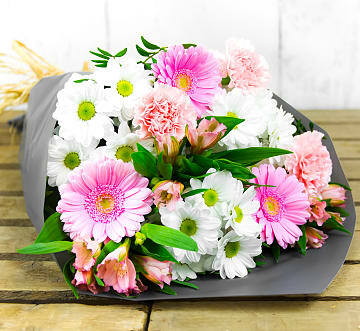 Other, not so happy, occasions also call for fresh flowers as a form of honouring a loved one and helping their family through the grieving process. 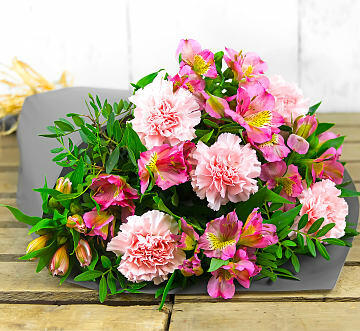 Sympathy flowers and funeral flowers are not something we enjoy shopping for, but they are considered a necessity and, at 123 Flowers, we do everything in our power to make this process as easy as possible. Just like the arrival of a new baby, our loved ones tend to pass away unexpectedly. Even if you know that a loved one does not have much longer to live, their passing will still hit their loved ones like a ton of bricks. This unexpected nature of somebody's passing often means that there's not much time to shop around and there could also be budget issues. We understand that shopping for flowers under these circumstances is never easy which is why we do everything possible to lighten your load. 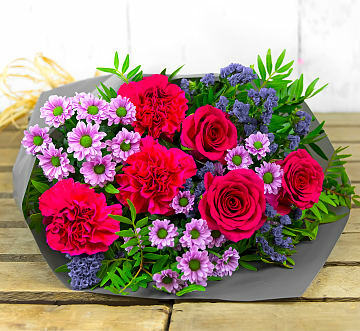 Our sympathy and funeral flowers offer lovely variety. While plain white bouquets are a classic choice, more and more people are finding the benefit in choosing colourful flower arrangements instead. Regarding sympathy flowers, when somebody you care about is grieving, they could use some emotional support. 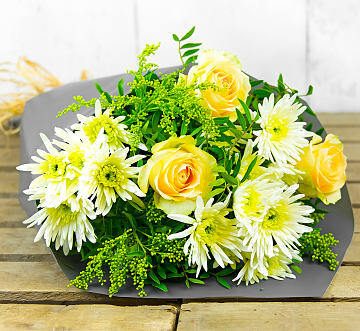 A brighter bouquet of flowers can offer them this very kind of support by brightening up their home. Fresh flowers have a wonderful effect on the mind and our emotions which is why brighter options have become increasingly popular. Years ago, funeral flowers were also rather plain. Like sympathy arrangements, funeral flower displays have also gained more colour. 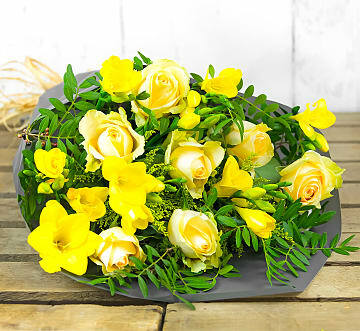 Many people find that by decorating the funeral or memorial service with specific flowers or certain colours, they are bidding that person their final farewell while honouring their memory. 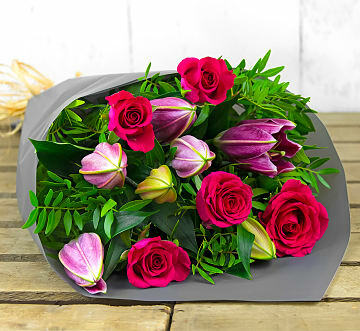 For example, if you lose your mother and you know that she adored roses, then roses should certainly be included in the funeral flower arrangements as a token of your love for her. When you send sympathy flowers to a grieving family, it's important to remember certain etiquette. Depending on your relationship with the family, you might feel comfortable paying them a visit, or you may like to give them some space. If you want to visit them and deliver fresh flowers in person, we will be more than happy to arrange for the flowers to be delivered to you. Alternatively, if you live far away or if you simply do not want to impose, you can have the bunch sent directly to their address instead. 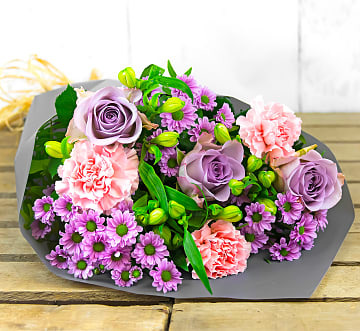 Whether you present the flowers yourself or we deliver them on your behalf, we will include a card. So, take some time to think about what the family might be feeling and how much their loved one meant to you too. Write a sincere message of condolences in the card and offer your support through this difficult time. Remember, it might not be appropriate to send such optional extras as balloons, but a vase would be a great idea. 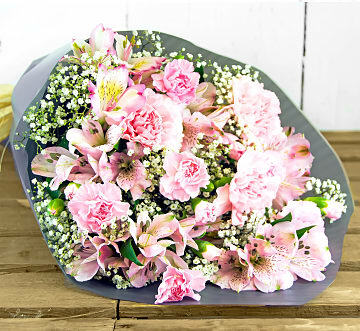 The recipient will probably receive several flower bouquets which means that they might not have enough vases for them all. Including one also means that they can simply place the flowers on display without too much fuss.